Update December 2013: Please read my blog regarding the fact that TTL-BL is linked to matrix metering performance. Newer bodies are behaving slightly differently to my D90 test results so results will vary depending on the model Nikon you have. 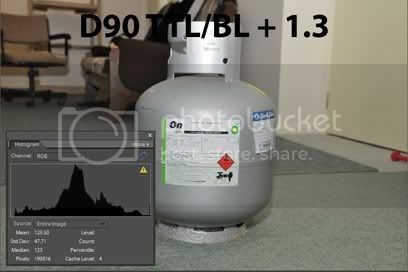 Short version :- " The 'new' TTL/BL selectively meters off the focus point diamond and exposes for the brightest object in that area , taking ambient into account regardless of the background . The subject does not need to be central , it does not need a bright background to work ". 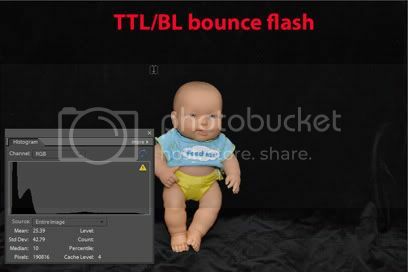 First of all why should you care about how TTL/BL works if you only use TTL flash ? 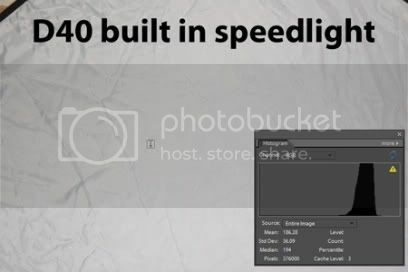 For one thing your built in speedlight works and meters in TTL/BL mode . 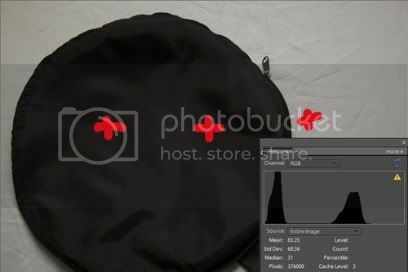 The SB400 defaults to TTL/BL mode . Note : When using forward flash with the SB400 , SB800 and the built in speedlight no compensation should be needed as the distance info is being used . 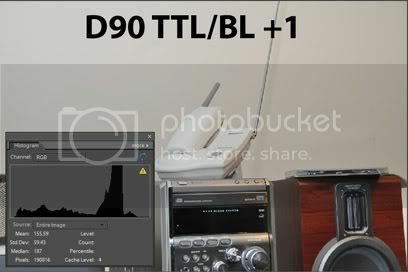 The confusing part is the manual that suggests that TTL/BL tries to balance the subject with the background - that's only true for cameras older than the D200 . 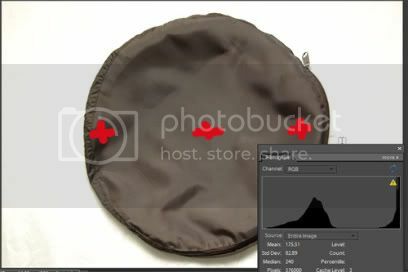 This means it measures the back-lighting and determines how much flash to add to the subject to make it as bright as the background . The manual's description is so ambiguous that it has even caught out top photographers . 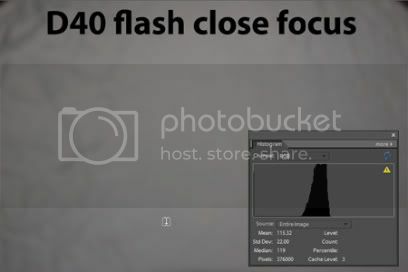 In a popular book on flash the author , who uses Nikon flash extensively , makes the incorrect statement "It means the camera is now in balance mode , trying with all its might to make the foreground and background roughly equivalent exposure zones " ... his description of the results shows that he thinks the flash will try to light the background as well as the subject . This statement is totally wrong and what he doesn't realize is that when he is using wireless CLS he is in fact using TTL/BL mode so his advice not to use TTL/BL is contradictory ! The correct term for the newer cameras is "balanced fill flash" which doesn't care about the background , it concentrates on correct exposure of the subject taking ambient "on the subject" into account and compensating accordingly - REGARDLESS OF THE BACKGROUND ! . I did my tests with a Nikon D40 and 18-105VR lens and a Nikon D90 with a Tamron 17-50 F2.8 . This model lens [Tamron 17-50 ] has been known to give incorrect distance info - my copy gave equal results to the 18-105 lens so it must be good ! My tests were duplicated by Mike who is an ex-pro photographer and software engineer using his D3 and D300 . His two cameras varied quite a bit in TTL flash mode but gave consistent results in TTL/BL+1/3 according to his tests . 2.) you need some ambient for the flash to balance with . Those statements are as obsolete as a D100 because that is generally the model camera/time-period that it applies to . So those statements are correct for anything older than a D200 but after that they are wrong ! 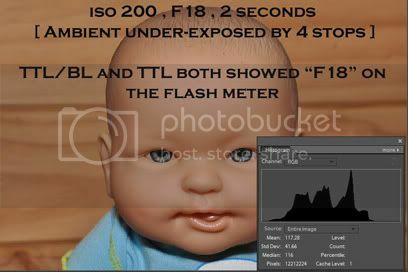 I've done a series of tests where I break down the different 'elements' of TTL/BL flash compared to TTL flash and dismiss these myths that are so widespread . 1.) 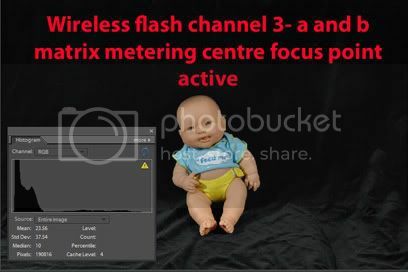 TTL flash only uses the matrix or Centre Weighted pattern , whichever you select , for its metering so the subject needs to be central or you need to use '' flash value " lock when recomposing . TTL/BL uses the FOCUS POINT DIAMOND as well which makes it superior . I have not seen it overexpose unless all the focus points are on a black subject . Even if one focus point is on a white subject it will make the blacks 'black" as they should be while TTL would try to brighten them . 2.) 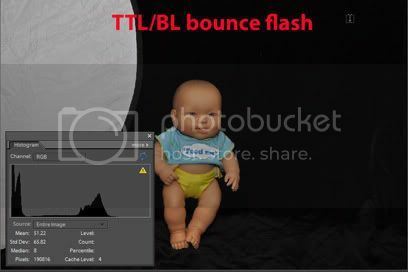 TTL flash is similar to normal camera metering in that if there is a dark background or a lot of black it overexposes by concentrating on brightening the shadow areas . 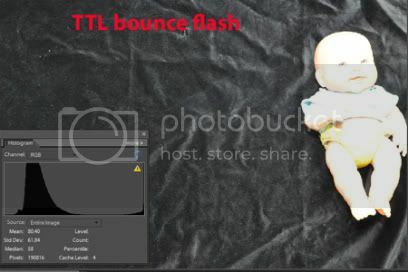 TTL/BL concentrates on the lighter areas and tries to preserve highlights mainly with 'pure bounce and no forward flash . This often leads to under-exposure when there is a lot of white in the background and good exposure if there is a lot of black in the background - setting the flash to TTL/BL + 1/3 fixes a lot of this and produces a much more consistent batch of pictures that might only need a slight tweak of the levels to be good compared to TTL which often clips highlights beyond recovery . 3.) 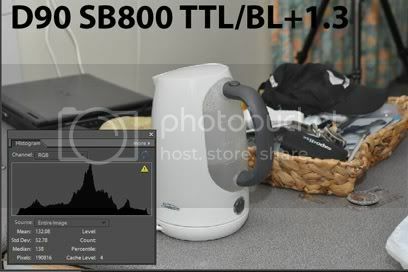 When you use Nikon's CLS "creative lighting system" wireless flash the camera/flash defaults to TTL/BL which is another nail in the coffin of the theory that you need ambient for TTL/BL to work [ on newer cameras that is ] . 4.) TTL thinks it is the only light source which is why you need varying degrees of compensation in daylight and cloudy weather . 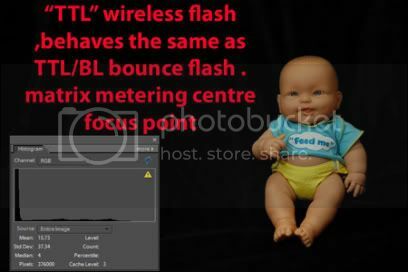 TTL/BL also takes the camera's metering for the ambient into account and then adds the amount of flash it deems necessary for a correct exposure . They prove that TTL/BL does not use the centre of the frame , it does not need ambient to balance with [ it was taken at night ] and as long as the subject is under the focus point diamond , not necessarily the active focus point , TTL/BL will do its best to preserve highlights - and it also means that you don't need to use Flash value lock " FV lock " . 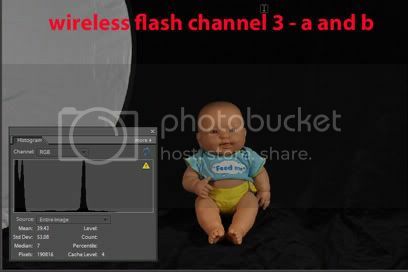 It also shows that when you use wireless 'TTL' the camera meters the same as TTL/BL ! 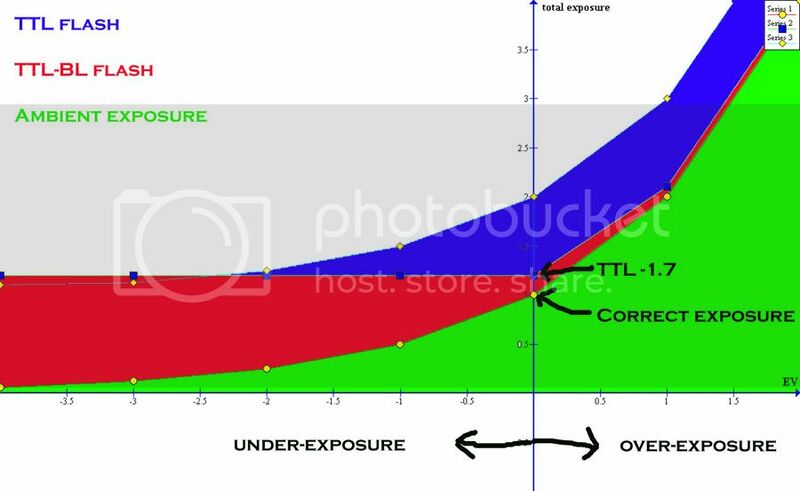 TTL , on the other hand , is a simple exposure based on the centre of the frame , it does not use the focus points in its calculations and doesn't care how much ambient already exists , so you need to be able to use negative compensation more often when using TTL . TTL/BL does this for you . 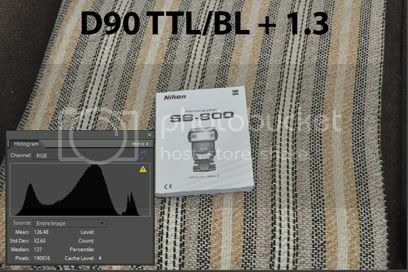 An interesting aspect of TTL/BL is that it uses the focus distance from your lens to calculate direct flash exposure , as well as the TTL reading . 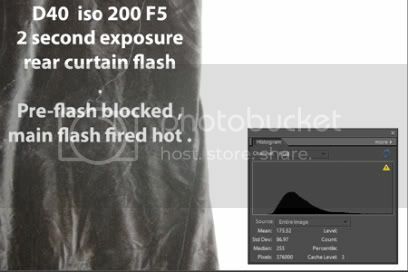 Try this experiment , take a flash picture with direct flash [ We avoid direct flash when possible but it is useful in bright sunlight ] . 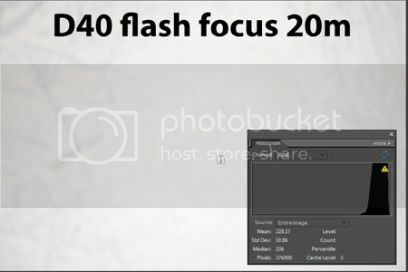 Then manually move the focus distance and watch the flash exposure change ! 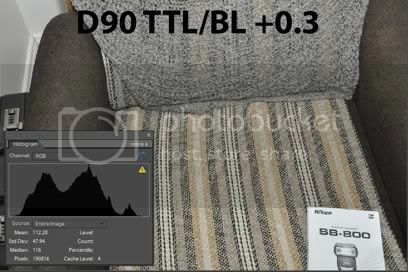 This proves that TTL/BL uses focus distance with direct flash but also takes the TTL reading into account . 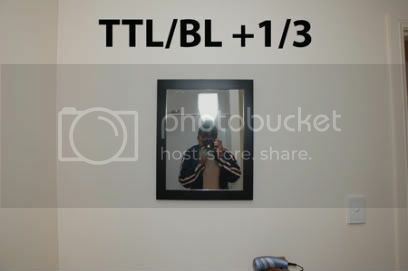 As you can see I have found that TT/BL + 1/3 gives me a much more consistent exposure than plain TTL flash . When there is a lot of white in the frame TTL/BL +1.3 has a certain 'consistency' as you can see in the link at the top right in my "TTL/BL consistency theory "
I'll be doing more tests with wireless flash but so far it is evident from my results that when using wireless flash and "TTL" mode the flash is in fact resorting to TTL/BL metering using the superior focus point info as well . [ compare this to the first two pictures ] . Then I slowly moved until just one focus point was touching the white surface - it's not the in-camera metering ! I have tried this in many situations . As long as the focus point 'diamond' finds contrast the meter does its best to preserve highlights resulting in slight underexposure when there is white in the scene but it remains consistent so one flash exposure compensation covers you . Here's an extreme example of what I am talking about - since the white area was small and in shadow it wasn't as if it spot metered that area but it shows how well the system 'manages' differences in contrast . 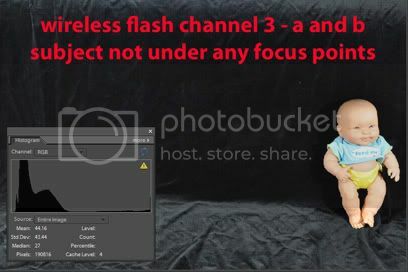 Since many people shoot in manual mode when using flash I thought I would illustrate the concept by having an off centre subject to exaggerate the issue a bit . 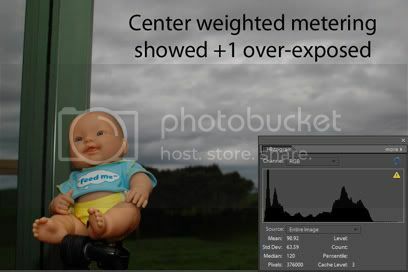 First I set the meter to zero in matrix metering and took a picture using TTL/BL and bounce flash . 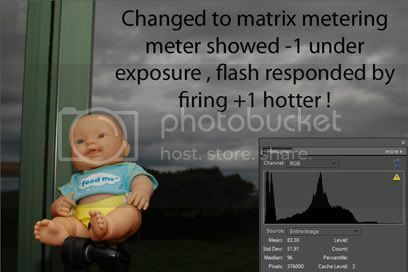 It fired rather weakly because the meter told it the subject was already correctly exposed . It doesn't seem to care if you want to over-expose the subject with the ambient - it fires the same strength by the look of the results . Now see what happens when I simply change the metering mode - all the settings were the same as the previous shot in this picture except for the fact that I changed to matrix metering and suddenly the meter showed "-1" because matrix metering is strongly weighted toward the active focus point - which was on the doll .... TTL/BL responded by firing one[?] stop brighter ! 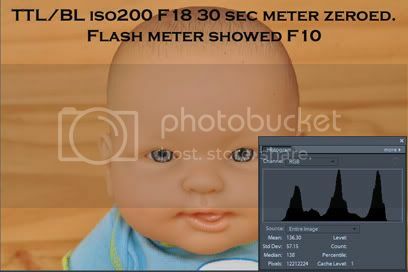 So ...... it would appear from this test that TTL/BL uses the focus points for its pre-flash reading and watches the built in meter to see what your shutter speed setting is doing with the ambient . That would mean that in a rather round-about way its output is affected by the shutter speed you select but that reading will also be affected by the metering mode you have chosen and its characteristics in different situations . 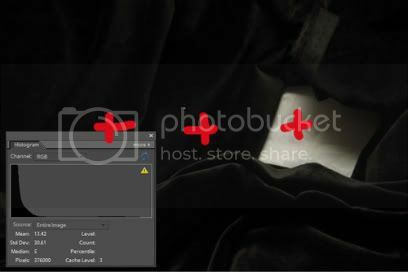 If you are in an auto mode outdoors TTL/BL will always fire weakly - once you are in manual mode , the metering mode you have selected will affect how strongly TTL/BL fires as it watches your meter to determine the ambient exposure . Once you are indoors , F5.6 iso 200 1/30th sec for example , the ambient will show up as so badly under-exposed that TTL/BL will realize it is the only light source and push out the required amount of flash . Now on to wireless CLS which is easier to understand once you know how TTL/BL meters - because wireless CLS uses TTL/BL by default ! 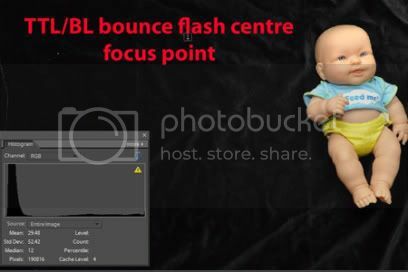 As with TTL/BL bounce flash it doesn't matter where the subject is in the frame as long as it is under the focus point diamond . 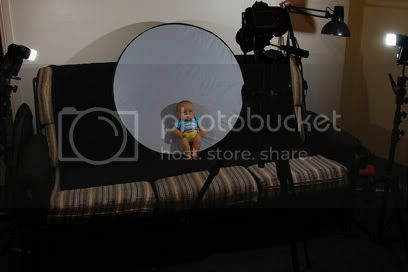 When we look at an image taken with a single on-camera flash bounced off the ceiling it looks ok until we introduce the reflector . 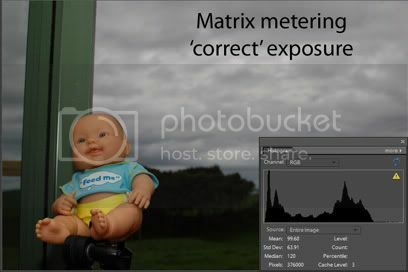 So the pattern we see is underexposure when there is white anywhere in the frame . This is still more consistent than TTL flash which meters only off the matrix pattern . With TTL/BL also using the focus points we have a more consistent exposure as long as at least one focus point is on the white object - easily fixed with exposure compensation . 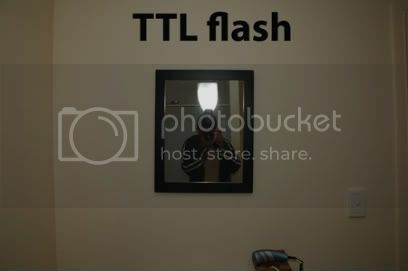 I have found that TTL/BL + 1.3 [ dialed in to the flash head ] has much more consistency than plain TTL flash . 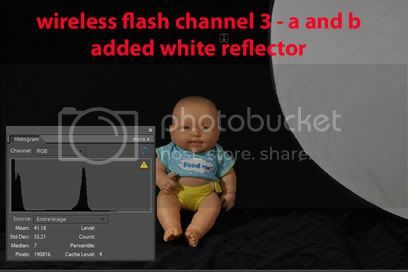 Just remember that when you use wireless flash with Nikon's CLS you are using TTL/BL metering so in the examples above , as soon as there is white in the frame you need to add around +1.3 to the exposure ! When the background is black TTL/BL meters of the subject as the brightest object in the frame . I looked at this kettle and decided " That's white enough to be a +1.3'' [ To be able to keep the camera to my eye I dialed it in with the Ev [+-] compensation button ] . I looked at "Stinky" and decided his face was a +0.3 - and made sure a focus point wasn't on that white bit on his shirt . I decided the phone was a little dull to be called 'white' so went for +1 only . This bulb looked a little grey so I went for +1 , but by the look of it I could have made it a +1.3 considering all the light objects in the frame . I worked hard to make sure there were no focus points on the white manual and my 'default' setting for 'average grey' scenes of +0.3 did the trick without blowing any highlights while +1.3 totally blew the highlights in this shot . 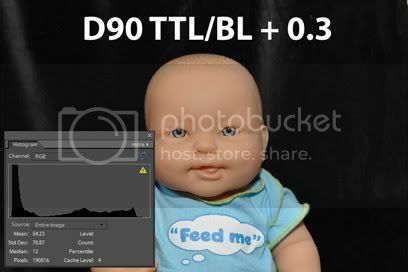 So maybe that is the problem solved for now with regard to TTL/BL and underexposure - time will tell . Just remember that when you use forward flash with the SB400 , SB800/600 or built in speedlight indoors you don't need this compensation because the flash is using the distance info from the lens . 26/10/2009 I did some more tests to see exactly how much difference there is in the amount that TTL/BL meters compared to TTL . I borrowed a flash meter and took slow exposures and used rear curtain flash mode so I could meter the main flash without interference from the pre-flash . 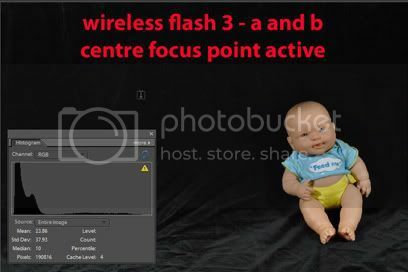 The first image was in a situation where I know TTL and TTL/BL give the same results - a neutral tone centralized in the frame - they both gave the same result according to the flash meter . Then I increased the time the shutter was open to expose the ambient correctly - TTL/BL responded by decreasing its power by 1.7 stops . 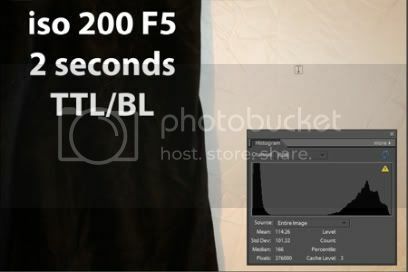 This test proves that TTL/BL does in fact adjust according to where the meter is which is affected by the shutter speed and how much of the ambient you capture . When the ambient is badly under-exposed TTL/BL takes over and provides as much lighting as it deems necessary . 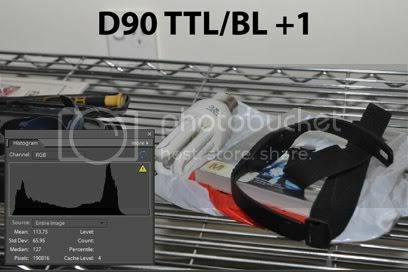 As you drag the shutter and let in more ambient TTL/BL responds by backing off its output all the way to -1.7 when the ambient is correctly exposed - which is a commonly accepted setting for for fill-flash in TTL mode . Of course since TTL and TTL/BL meter differently the results will not be exactly the same in varying situations . In my recent blog on tests with the diffuser dome a comment was added by Russ McDonald who helped design the original system in the 80's which I find very interesting .
" In TTL-BL mode, When the preflash return is strong much more emphasis is placed on the preflash and much less is placed on the distance. In TTL-BL mode, when the preflash return is weak, much more emphasis is placed on the distance. This may be part of the differences you are seeing between using the diffuser and not using the diffuser. The diffuser can cause a big difference in the preflash return energy. " A while ago he mentioned how the original program was designed to use distance info in case the pre-flash reading was messed up by the bright background for which TTL/BL was originally designed [ before they changed it ] . So it appears that in an obscure way the diffuser dome gives greater accuracy because the weaker pre-flash reading encourages the program to use the distance info more in its calculations taking advantage of the direct light coming from the dome . I've added a 'donate button' while I wait for adsense to be approved so perhaps I can spend more time doing further research . ← Thoughts on Nikon TTL/BL 'evolution' .